Arbon Steel offers a complete package of metal sales, shearing, slitting, and contracted precision coating services, backed by the industry’s most advanced equipment and a team of employees committed to quality, delivery, and service. 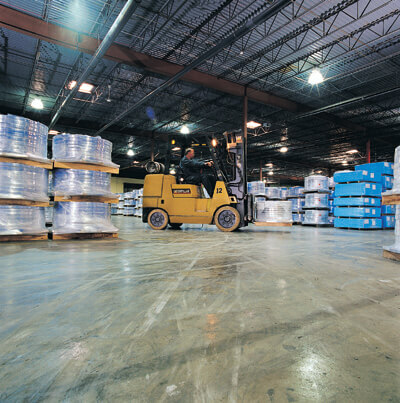 Our clients span the globe and have come to expect top quality materials, on-time delivery and innovations designed to meet their most critical needs. We have build our reputation on a pro-active approach that offers valuable suggestions for improving our customers’ product lines. Founded in 1977 Arbon Steel and Service Company has grown from a small tin mill product service center offering hand slitting and sorting to a 150,000 square foot state-of-the-art facility with sophisticated coil processing lines. 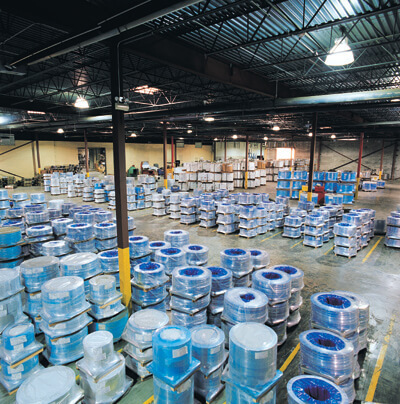 Our equipment acquisitions have expanded our capabilities and our extensive inventories of Tin Mill Products coils (Electrolytic Tin Plate, Black Plate, Tin Free Steel, and Tin Coated Sheet) Corrosion Resistant Steel coils (Hot Dipped Galvanized and Electrogalvanized), and Stainless Steel coil provide our clients with ready materials. Today, Arbon Steel and Service Company offers a complete package of metal sales, shearing, slitting, and contracted precision coating services, backed by the industry’s most advanced equipment and a team of employees committed to quality, delivery, and service. Our clients span the globe and have come to expect top quality materials, on-time delivery and innovations designed to meet their most critical needs. We have built our reputation on a pro-active approach that offers valuable suggestions for improving our customers’ product lines. As we continue to forge our future, Arbon Steel and Service Company remains dedicated to supplying the finest light gauge metal products with accuracy, quality-control, efficiency, and the industry’s highest level of professional service. That’s been our mission from day one and our promise now and for the future. From the first processing step through the end of production and delivery, quality is our top priority at Arbon Steel and Service Company. That means rigorous quality inspections and procedures that provide strict conformance to customer specifications. 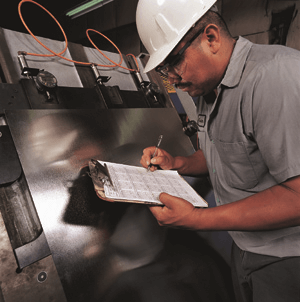 We use the latest statistical techniques, and a combination of sophisticated automated and manual inspection systems to make certain each manufacturing process is in control. For example, ultraviolet sensors detect and reject pinholes in sheeted product. Electronic gauging equipment measures sheets and coils for proper thicknesses and assures sheet lengths that meet the industry’s tightest tolerances. This combined with our employees’ expertise and our commitment to continually improve our materials’ quality gives you the optimal finished product. All this means increased efficiency and quality within your own operations, and products that meet your exacting expectations. We invite you to tour our operation and see first-hand the kind of top quality products we produce. Just call us at (708) 534-6800 to make arrangements. We look forward to your visit. AJA Registrars Limited has confirmed our ongoing quest for high quality by conferring on Arbon’s management system an ISO 9001:2015 certification for quality management. We at Arbon Steel and Service Company pride ourselves at being your single source for light gauge, close tolerance, high speed shearing, and slitting. 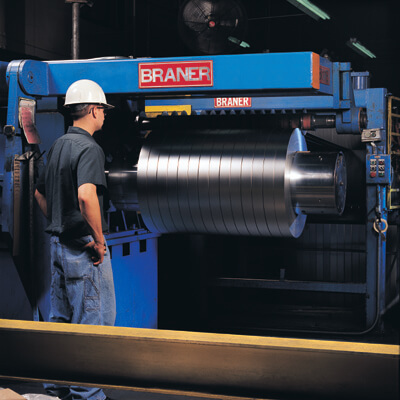 Our quick, efficient operation can deliver coil and straight cut or scroll cut-to-length products in any quantity within the industry’s tightest specifications. And as our customers know, Arbon responds to meet evolving manufacturing demands for tighter product tolerances and higher standards of service. Our high speed Littell cut to length line is designed to process up to 200 sheets per minute and maintains cut sheet tolerances of plus or minus 0.007 inches. Our high-speed coil slitters are designed for distortion free, close tolerance strip width production. All lines are meticulously maintained. Whether your processing need is cut length or slit coil, you can count on a quality product from Arbon, delivered on-time and at a cost-effective price. It’s a promise we deliver day after day. Our employees’ expertise and our commitment to continually improve our materials’ quality gives you the optimal finished product. Working directly with quality steel mill producers around the world, Arbon serves customers’ specific metal requirements in widely diverse markets from sanitary food can and general line packaging to manufacturers of construction, automotive, housewares and electronics products. We buy volume quantities of coils directly, and our purchasing power favors customers who want economy and ready availability without tying up capital in their own large metal inventories. We can supply material as needed to keep your operations running efficiently, and we stock many hard-to-match specifications not always available from mills when you need them. We provide quality and cost advantages with specialized materials for a wide variety of products, including drawn parts. 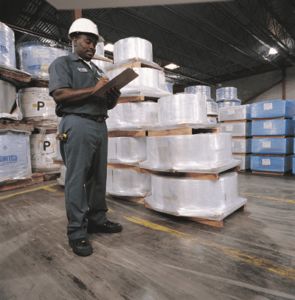 When you place an order with Arbon, you can count on the proper execution from entry through shipment, including on-time delivery and prompt accounting. Using our computerized order processing system, we respond quickly to most orders, no matter the size. Whatever your metal material needs, Arbon will work to give you the highest possible quality at the best possible cost. Our services set us apart. Our People move us forward.